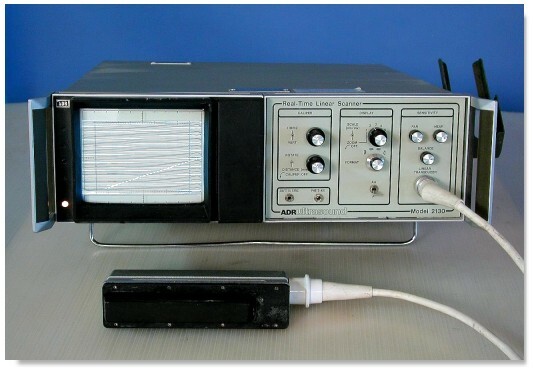 The ADR Model 2130 marketed in 1975. It was a big hit in the United States and had sold over 5000 units worldwide, including Germany and other European countries. The machine was marketed in Europe under the Kranzbuhler label. The display had only 16 shades of gray. Note also the very large size of the abdominal probe. 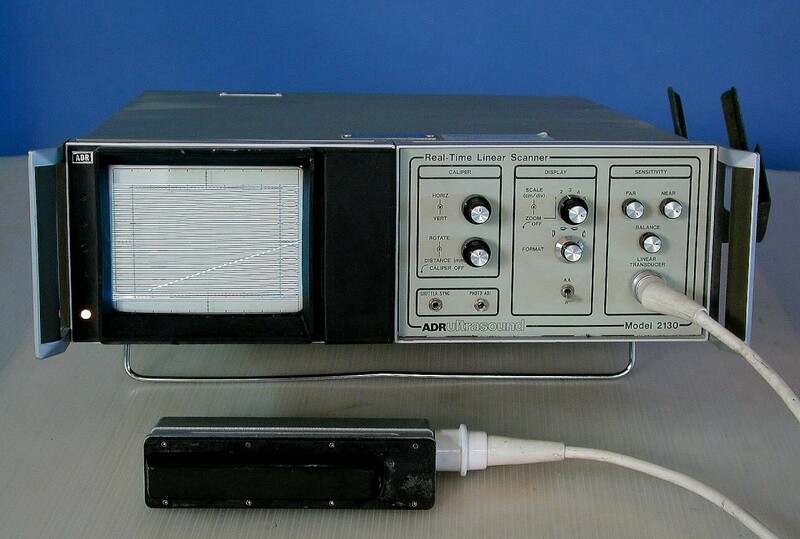 In 1980 a new 3.0 MHz variable focus transducer was added on to the 2130. The new transducer contained 506 crystal elements, boasted both mechanical and phased focusing, improved gain and reduced noise, much quieter transducer operation, and switchable focal zones. The image had twice the number of data lines and probably the best real-time resolution in the industry at that time. 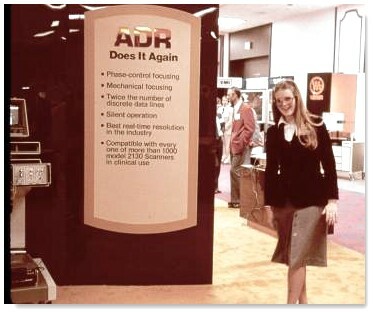 ADR at an ultrasound conference exhibit in the early 80s.